This summer I bought a Sabina and finally had some time to rewhip some loose eyes. 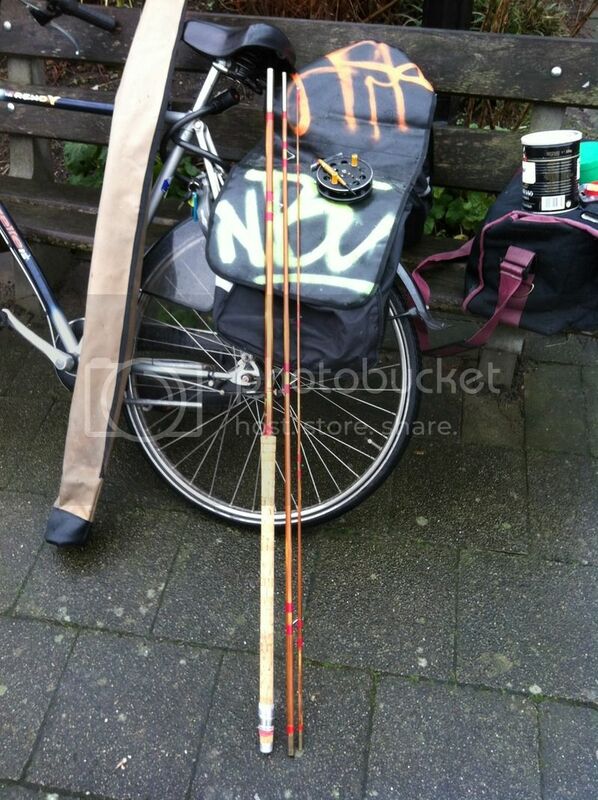 Last Saturday I took it outside and give it some action. To keep it short: I love how the dark cane looks and how it feels! And I caught a personal best roach on it! With its 0.7 lbs a modest fish but I'm happy with it! 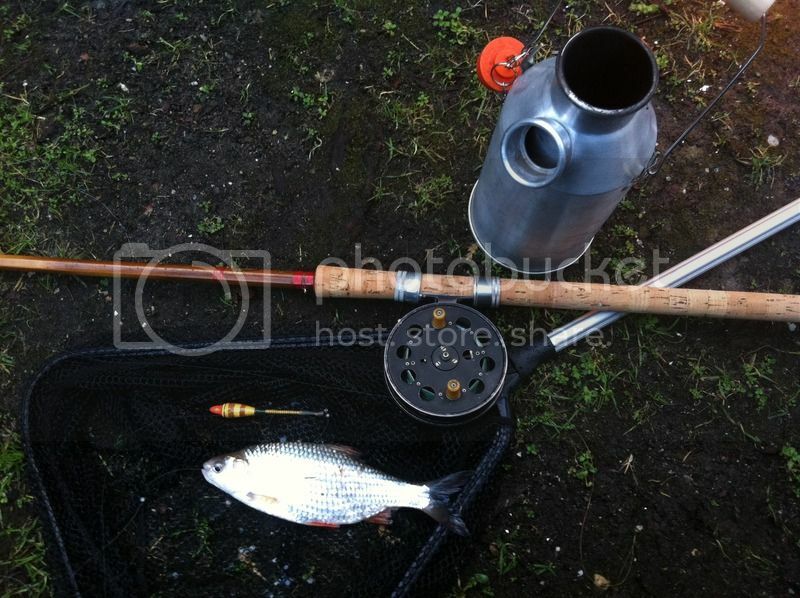 I noticed the rod has two different reel rings so I wonder how much of the rod is 'original'. I see most Sabinas on this forum have an agate but ring. Mine hasn't so I wonder if it already had a refurb in the past. Also, if I don't use a rubber band the reel rings will fall off. Is that the same with other Sabinas? Also I have a problem with tight ferrules. It is hard to take the pieces apart after fishing. Any ideas what is the best way to clean the ferrules? Is that the 12ft version ? 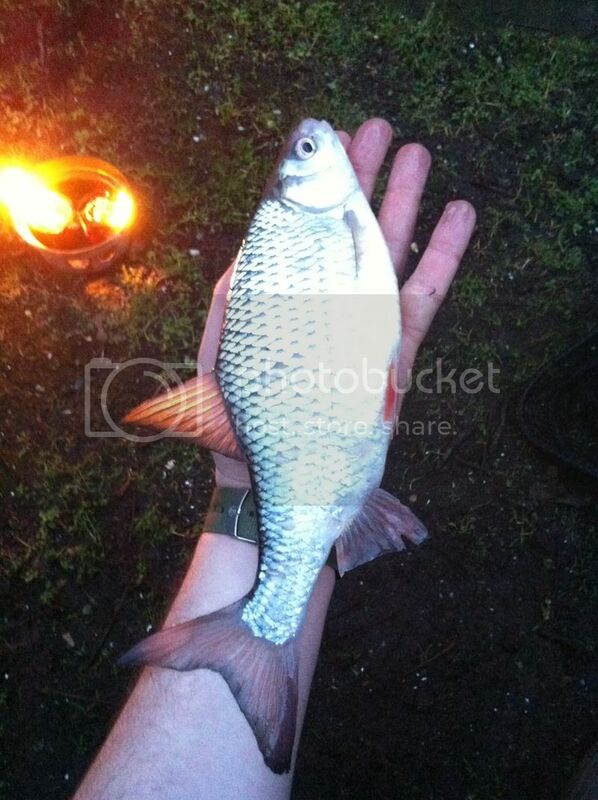 The fish looks more like a Rudd than a Roach, a nice fish whatever the species! 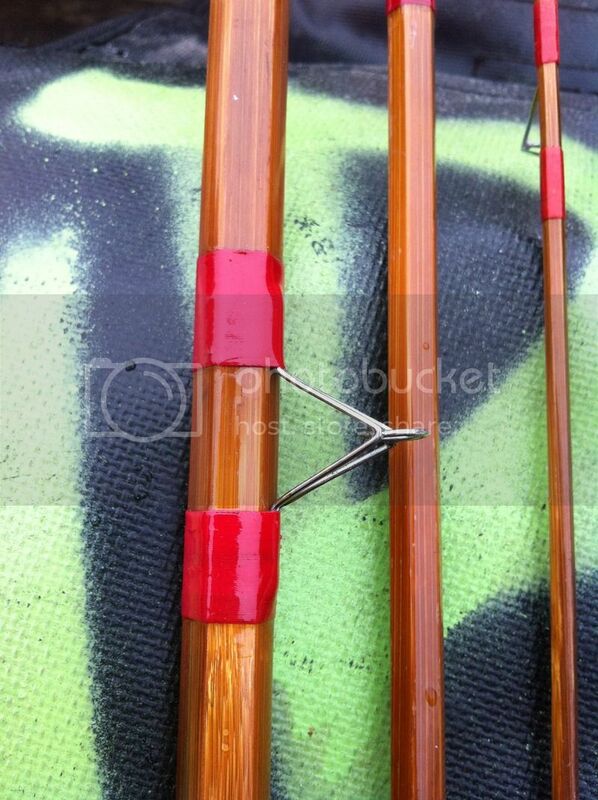 Is it possible there are rods with original red whippings? I also have the clear lined tip ring so that might be an original. 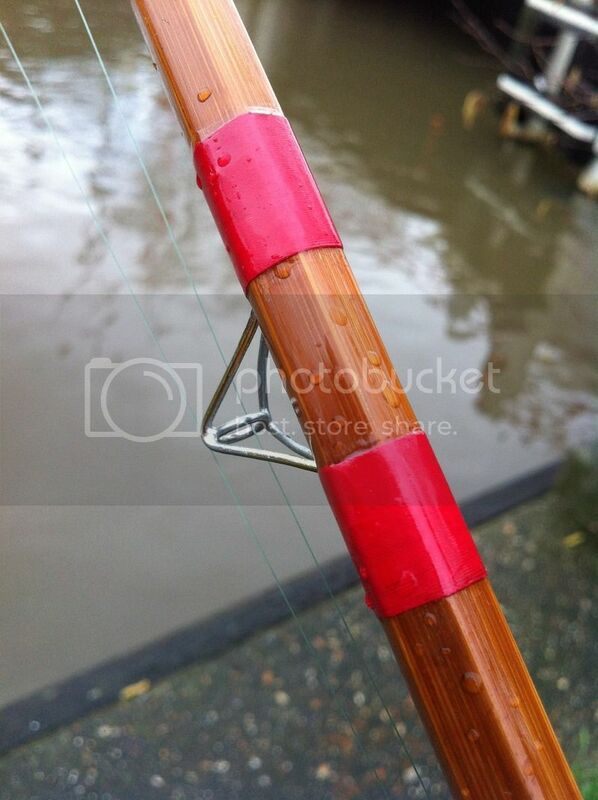 Yes there are some with Red whipping ,but it,s a darker red than the colour on your rod. Trilob wrote: Also I have a problem with tight ferrules. It is hard to take the pieces apart after fishing. Any ideas what is the best way to clean the ferrules? anybody knows an easy way to fix this? You could try lighter fluid and cotton bud or brasso. These are original colours as far as I know...which isn't very much I appreciate- I just love the rods!